Recording artist Justin Bieber performs onstage during the Think It Up education initiative telecast for teachers and students, hosted by Entertainment Industry Foundation at Barker Hangar on September 11, 2015 in Santa Monica, California. Hollywood is working towards a better tomorrow. Celebrities including Jessica Biel, Kristen Bell and Austin Mahone all came together Friday evening in Santa Monica, Calif. for the Think It Up telecast, a fundraiser aimed to support students and teachers across the nation. Justin Bieber kicked off the hour-long event with a performance of his new song "What Do You Mean?" before handing it off to a number of A-listers who discussed the current state of education, and what everyone can do to improve it. Think It Up is an initiative of the Entertainment Industry Foundation charitable organization, created to bring broad cultural attention to the urgency of improving the learning experience in America. The national education initiative seeks to reframe the public discussion about education, create a culture of excitement about learning everywhere in America and build a sense of optimism about the potential of education in classrooms across the country. Gwyneth Paltrow discussed the "need to empower teachers to help students become creative thinkers and problem solvers," and Eric Stonestreet encouraged students to "be bold." Audience members were brought to their feet as Big Sean closed the show with a moving rendition of "One Man Can Change the World." Visit here to fund student-powered, teacher-led learning projects in partnership with DonorsChoose.org, the teacher crowd-funding charity. 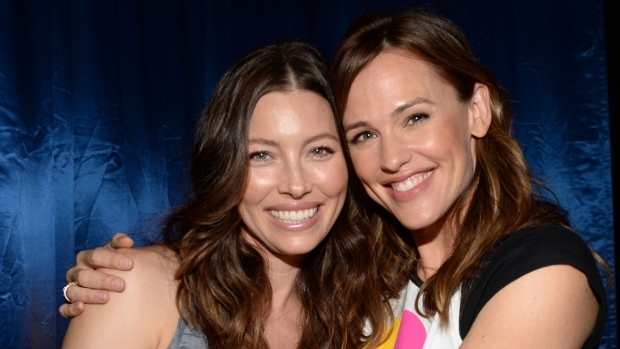 Original Post: Jessica Biel, Jennifer Garner, Justin Bieber & More Attend Think It Up Telecast--Get the Scoop on the Star-Studded Event!